Start off the new year with an interesting variety of new releases. Mystery, suspense, heart-warming family wisdom, romance and humor are included in this group of recommendations. As always with a variety pack, start with your favorite flavor. 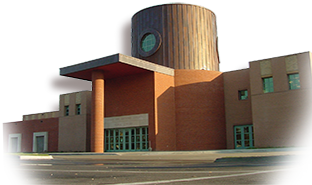 In a southern California college town a freshman stumbles into her dorm room, falls asleep and doesn’t wake up. When her roommate can’t wake her, she calls 911. No one at the hospital can wake her. Then two more girls fall asleep and don’t wake up. Panic spreads from the college to the town and the streets descend into chaos. Doctors discover those affected by the illness are showing unprecedentedly high levels of brain activity. While, 96-year-old Doris lives alone in Stockholm and has few visitors, she enjoys her weekly Skype calls with her American grandniece Jenny. These calls remind her of her youth. Doris still has the address book her father gave her when she was a girl and she’s used it to record everyone she’s met. 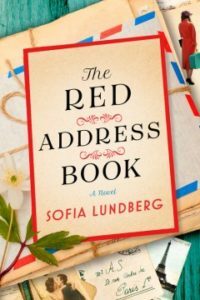 While looking through the address book, Doris decides to write down the stories of her colorful past – working as a maid in Sweden, modeling in Paris, escaping to Manhattan at the beginning of WWII and the love of her life. She hopes these stories will help Jenny unlock her family’s secrets and move on with her life. “In Kinship, OH, 1924, Lily Ross’s husband, Daniel, is killed in the line of duty as sheriff. The griefstricken Lily grapples with unanswered questions and her new duties as acting sheriff. 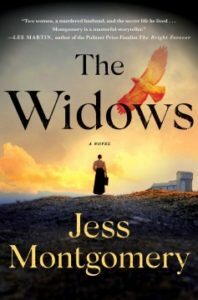 Her sorrow is compounded by the sudden appearance of Marvena Whitcomb, a coal miner’s widow, who shares a past with Daniel and whose daughter, Eula, is currently missing. An unlikely pair, underestimated by everyone, Lily and Marvena navigate Daniel’s secrets, investigate Eula’s disappearance, dodge conflicting loyalties among the moonshine distributors, and bond over their shared loss as the tension between the coal miners and mine owners escalates. 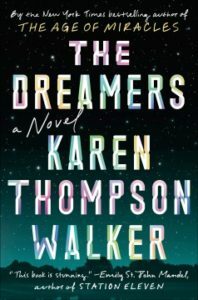 On the edge of discovering the truth, they suffer one final, mutual betrayal, which propels them toward a series of clever and emotionally satisfying solutions. Elsey visits to a yoga retreat on a mountain in China at her husband’s urging. He’s trying to help her get back on track. 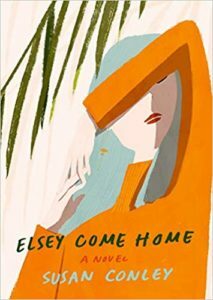 Elsey packs a lot of emotional baggage as she’s torn between being a good parent and her art career. She’s also struggling to admit she’s been using alcohol to cope. While looking forward to the yoga and day of silence, Elsey dreads the retreat’s talking circle even though it seems ripe for a Saturday Night Live skit. She spends the next year unpacking memories and lessons from the retreat. Storytelling becomes a process for healing. Darcy has loved Tom Valeska since she was eight years old. The only problem is that he is best friends with Darcy’s twin brother, Jaime. Tom is 99 percent loyal to Jamie, which makes him off limits to Darcy. 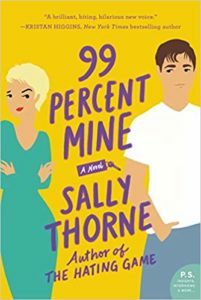 Well into adulthood, Darcy decides it’s time to claim more than 1 percent of Tom’s heart. While Tom focuses on helping Darcy and Jamie renovate the house they recently inherited, Darcy focuses on winning Tom’s love. Posted in Books, Movies & Music and tagged Fiction, fiction 5, fiction five, historical fiction, romance, Suspense, Suspense/Thriller.